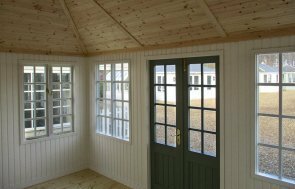 Measuring 2.4 x 2.4m, the Blakeney was selected from our range of stunning summerhouses by the customer who wanted a chalet-style design reminiscent of beach holidays and fond memories. Externally, the summerhouse has an apex roof covered with grey slate composite tiles and smooth shiplap cladding painted with the exterior paint shade of Pebble, which was selected from our vast range of paint options, including a Farrow and Ball palette. Internally, the customer has opted to insulate the floor and there are also several opening windows to allow ventilation and natural light. 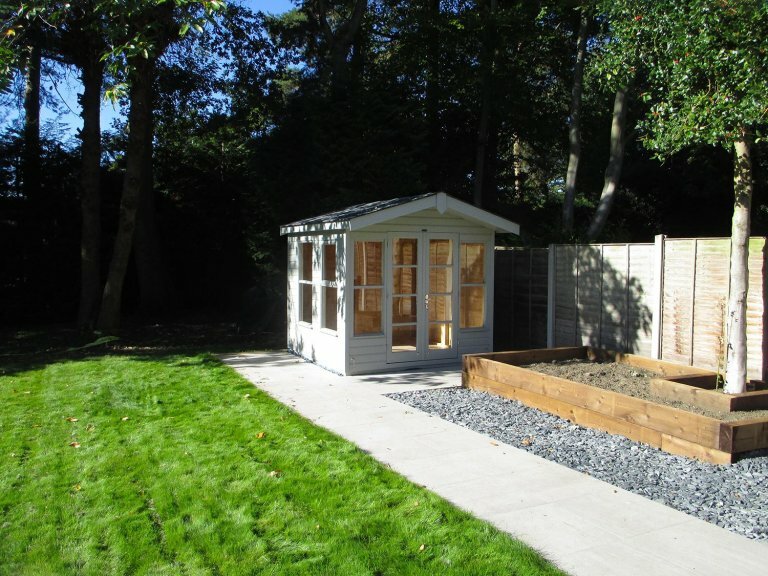 If this building has inspired you to think about your own Summerhouse, we recommend that you pay us a visit at your nearest show site, of which we have several based across the country. Alternatively, contact us on 01760 444229.